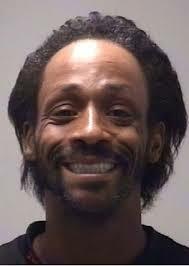 Who da Fukk let Katt Williams in the Concert looking like Throwback Erday and High as a KITE… The question, what was he High On??? Katt Williams had a crazy night in Philly … bum rushing the stage at a rap show, punching a guy and ultimately coming up on the losing end. It all went down Sunday night at the Trocadero Theatre … where Beanie Sigel, Jahlil Beats, Jadakiss and a few other rappers were performing. Williams was all over the place … freestyling onstage, randomly doing pushups and standing around in a fight stance for no reason. Williams suddenly ran full speed at someone onstage and clocked them. The dude he decked had a loyal entourage … which beat Williams down. Williams has had an interesting few days, to say the least. He was arrested last week in Georgia for allegedly punching a store clerk … a day before that, he allegedly held five women at gun point … and then a few days later he got into a fight on the streets of Los Angeles. Previous PostEvent Lies, Cries and GoodbyesNext PostLil Kim Fires Shots… This time it’s Personal!